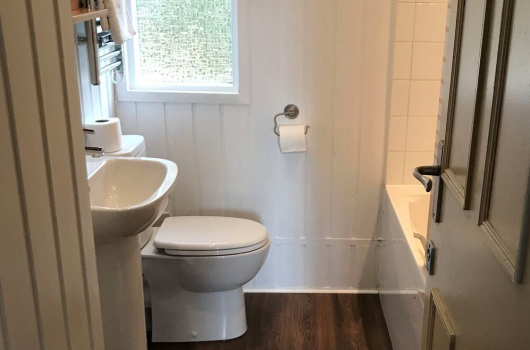 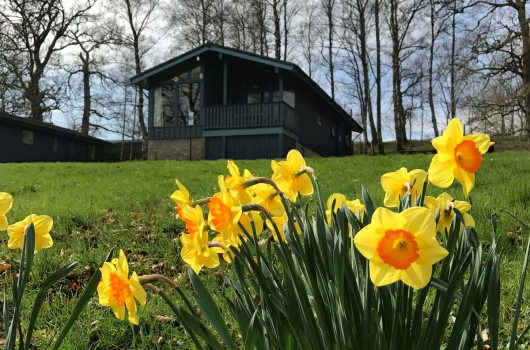 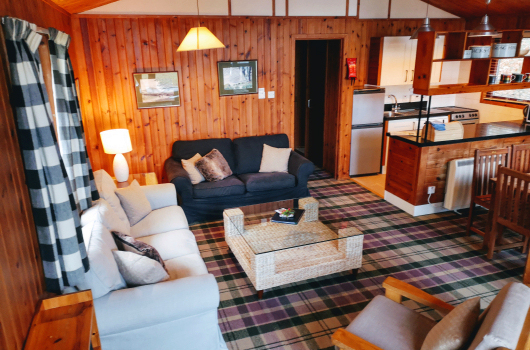 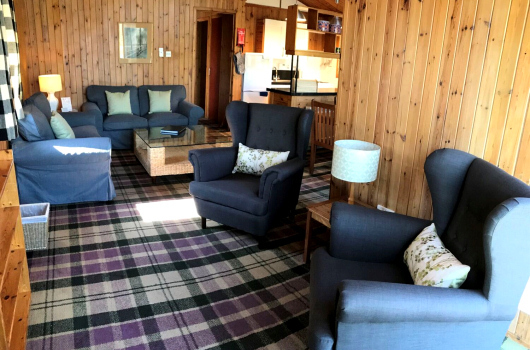 Our four Scandanavian lodges of this type are the largest and most spacious of the self-catering holiday cottages here at Loch Monzievaird. 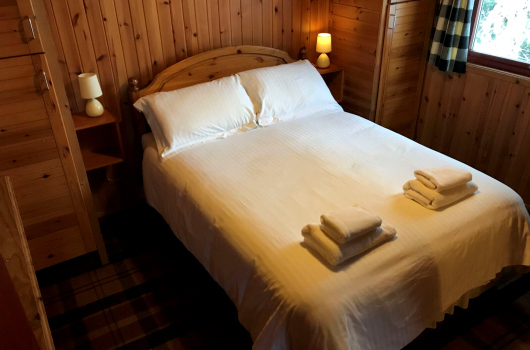 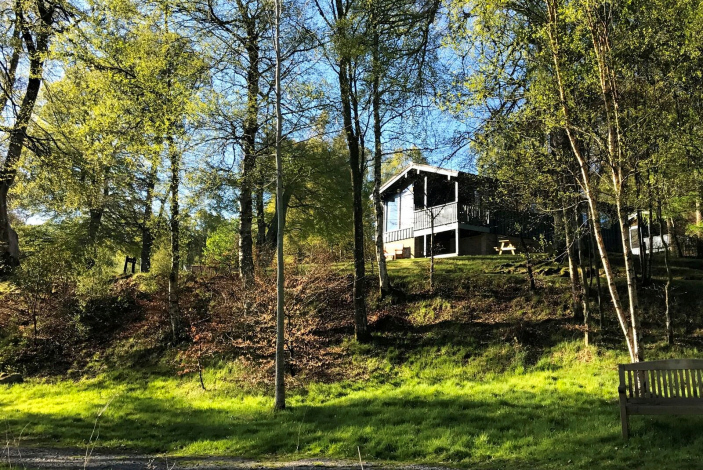 Sleeping a family of four adults plus three or four children, or an all adult group of up to six, they are ideal for family or small group holidays in Perthshire. 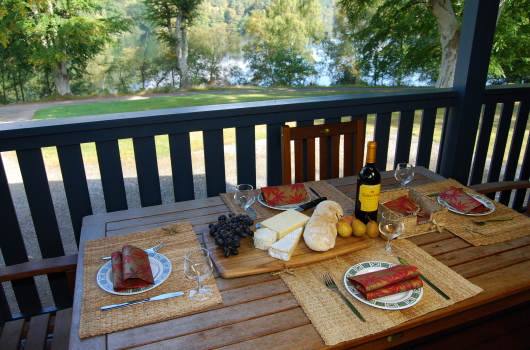 Although their elevations above the loch vary, they all enjoy stunning loch views. 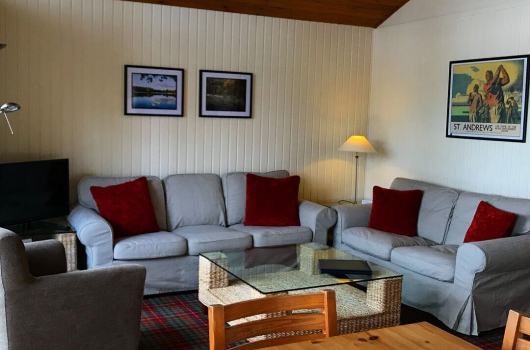 Large open-plan living / dining room with high ceiling, furnished with comfortable couches and chairs, dining table seating eight guests, colour television and DVD player. 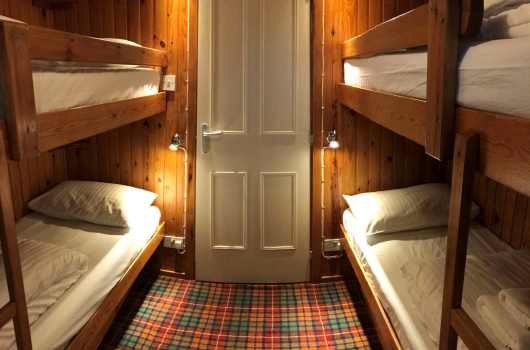 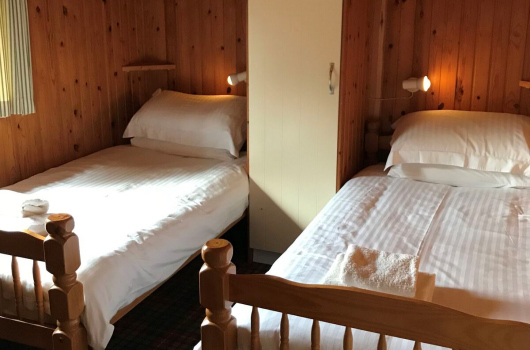 One small bunkroom with either two sets of bunks (Chalets 12, 15 and 18) or one set of bunks and one single bed (Chalet 16). 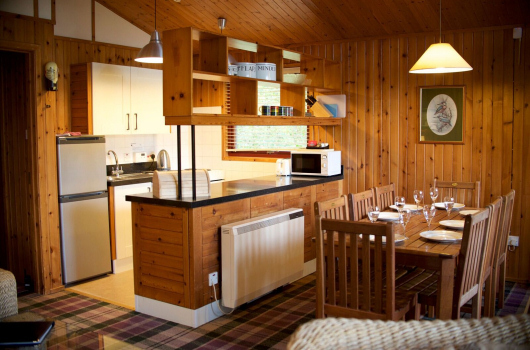 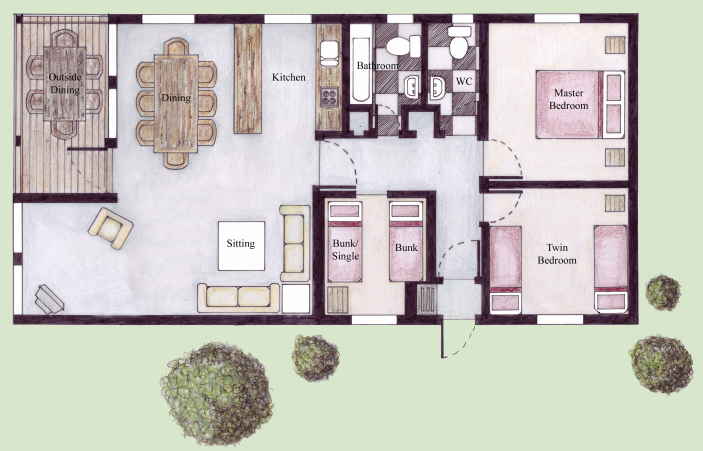 Covered enclosed half deck (Chalets 15,16 and 18) or full deck with a slightly smaller living area (Chalet 12).